The developing halal market plays an important role for European gelatine manufacturers. Therefore a special attention is given to be in compliance with the requirements needed to be met when producing gelatine for the halal market. Manufacturers of foodstuffs and pharmaceuticals who sell products to Muslim consumers have to pass inspection by recognized Islamic certifying bodies. Once a factory has been approved by an Islamic certifying body, a certificate is issued that confirms that the final products are halal and thus permissible for Muslims. To pass certification, manufacturers must guarantee that only approved raw materials are used and no prohibited additives. Avoiding any form of cross-contamination is another decisive factor in manufacturing halal-certified foodstuffs or pharmaceuticals. This means that during production, strict hygiene, safety and quality specifications need to be adhered to in order to guarantee consumers a maximum of quality and integrity for the final product. All questions pertaining to the certification process can be sent directly to the respective certifying bodies. Several European gelatine manufacturers have expanded their product range. This makes it possible for them to offer gelatine and gelatine products to final consumers as well as to the processing industry that are halal certified and manufactured on site in state-of-the-art facilities according to European guidelines and safety standards. This way, manufacturers of foodstuffs, beverages and dietary supplements as well as the pharmaceutical industry can offer products that meet the needs of this growing demographic group. 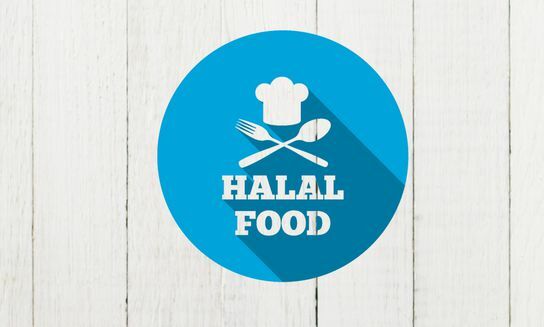 In addition, halal certification facilitates the export of products to Muslim countries. Today, many supermarkets in Europe already offer a large range of halal products – including gelatine. However, this is dependent upon country and region. There is also a steadily growing number of specialized halal shops that serve customers who require qualitatively high-grade halal food.